Prices of a domain may vary from provider to provider. 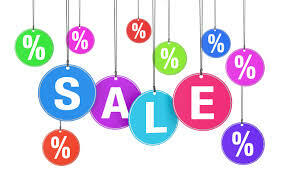 But the most important things to consider is the reliability that we will provide and most importantly special offers and discounts that we bring to our customers at regular intervals. The prices of domain name depends on the extension that you choose some might be of higher price while the other might be of lower price. If you are purchasing a .in domain it will cost you less than a .com domain. As web hosting is the most important thing or else registering a domain name will be of no use. We provide a free domain with the unlimited and premium website hosting packages. 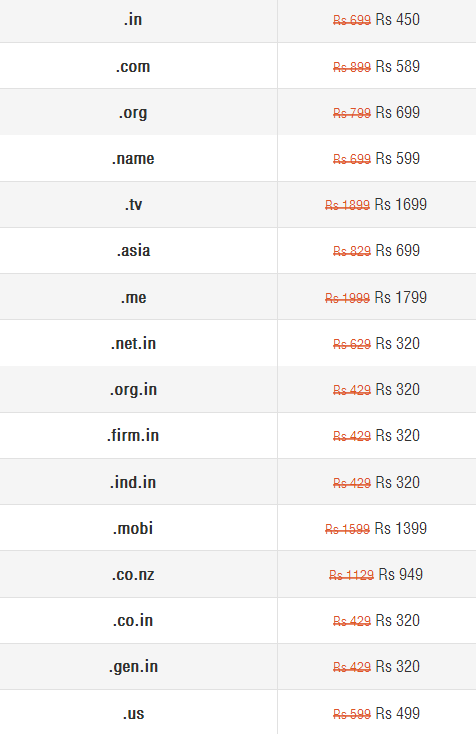 Below we have mentioned the price list of important domain name extensions provided by us. NOTE: The Domain prices keeps changing and If you want to know the correct up to date domain price, We request you to head to the domain registration page and proceed by clicking the continue button, you will get the see the domain price in the next step. IMPORTANT: You can get these domains for FREE when you buy any hosting plan with HostingRaja, such as unlimited and premium. You can choose the perfect domain name extension for your business/website. Book your domain name today and get exciting deals. If you have decided to start an internet business, there are a number of things that you need to consider. The very first thing is to decide about the domain type and your domain name. Has there are a lot of things to choose and sometimes you may not find your desired domain name, and also you’ll have to have in mind. b) What’s going to get you optimal traffic flow. The Trifecta: It is the most used domain name extension like .com, .net, and .org. If you are going with there domain extension there is a more possibility that you can get good investors and these domain extensions also grab more traffic to your website. Country-Specific: Most of the time your desired domain name in .com extension might be used by someone else in that you can go with your country code extension, as it will drag more traffic if you’re targeted customers are from the specific country. There are a lot of country codes like- .in (India), .uk (the United Kingdom), .us ( the USA), .fr(France) and so on. You can go with any county code domain extension. Accepted Sub-Domains: Even in the country specific domain names have utilized by someone else, still, you have a lot of opportunities where you can get your desired domain name. There are a lot of alternative domain extension which has been approved by ICANN, like .biz, .info, .aero, name, .edu, etc. These domain extensions are more-unique and are extremely specific. Not-so-Great Sub-Domains: As said if you could always get very-unique domain name add it quickly as a sub-domain for your website. Say that happy.com is already taken in that case you can make use of the same domain name by briefing it. Like- happy.imhappy.com where it will resemble your domain name which you wanted, and you can use this as a sub-domain for your website. Price: The price of a domain name is always depending upon the domain name that you have chosen. You can also get the better price information on the domain extension on the above picture. Here in Hosting Raja, we provide domain name at Rs. 99 per month. Can I buy free domains ? This is one of the very often asked questions by newbie who enters into Internet business, or look for cheap domain names. 1. They have low reputation in the market. Most of the low cost or FREE domains are used for spamming or SEO purpose, that’s why they have low reputation. 3. It is easy to gain user’s / your visitors trust by using .com or .net or .org domains, than using some free domains.